As she listened to the veterinarian’s diagnosis, her heart broke, but she decided she didn’t care how much the bill would end up being. She would do everything she could to make Bill the cat better. He was her baby, after all, and all she had left in the world. Categories: blog awards, general, Uncategorized, writing | Tags: #tuesdayuseitinasentence, bill, blog post, cat, prompt, sentence, writing | Permalink. 1.I’m a chocoholic. Especially dark chocolate. 2. I enjoy just about every type of music, except for (modern) rap or hip-hop. 3. I have quite a few fandoms, but my top favorites (right now and not counting anime) would probably be Doctor Who, Harry Potter, and Star Trek. 4. I enjoy the ghost-hunting tv shows (like Ghost Adventures), but have never had an experience myself. 5. I hate cold weather. 6. I love going on nature walks. 7. If asked what my favorite flower is, I’d probably say carnation, but it’d be a hard decision. 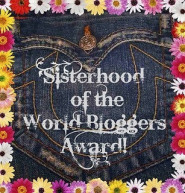 Nominate 5 other bloggers that you respect and let them know by posting a comment on their blog. 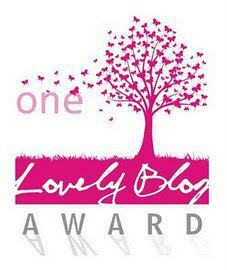 Categories: blog awards, general, Uncategorized | Tags: blog award, blog post, sunshine blogger award | Permalink. I’m currently in the process of re-reading both Harry Potter and The Dresden Files for now, though I have a huge stack of books still waiting to be read. I’ll probably get around to one of them shortly. Do you enjoy crafty hobbies? What movie are you most looking forward to in 2015? It was an effort to get myself out on social media and all, since I’m fairly new to the indie author thing. I enjoy reading poetry, but I don’t really write it much. My writing muse seems to give me ideas for stories more than for poems. Do you have a favored computer brand? Whichever works and will let me do what I need. What is the one software you couldn’t live without? What book(s) from your childhood left a most significant impression? I don’t know about leaving a significant impression, but some of my favorites were Nancy Drew, James Howe’s Bunnicula books, and the Pern books (which helped get me into fantasy novels). Categories: blog awards, general | Tags: author, award, blog award, blog post, books, fantasy, Natacha Guyot, scifi, sisterhood of the world bloggers award, writing | Permalink. According to the rules, I have to list 7 interesting facts about myself, then nominate 15 other blogs. So, here goes! 1. I’m a bit on the short end at 5 ft. tall. 2. I’ve been writing since high school, but never thought about publishing until a creative writing class in college. 3. I enjoy video games, especially RPGs. 4. I enjoy watching shows about ghost hunting (I’ve never had an experience but am open-minded). 6. I enjoy playing with tarot cards, but haven’t used them lately. Categories: blog awards, general, Uncategorized | Tags: blog award, blog post, ghost hunting, one lovely blog, tarot cards, video games, writing | Permalink.